Eddie Redmayne and Felicity Jones play Stephen Hawking and Jane Wilde in "The Theory of Everything." One simple, elegant equation that explains everything in the universe. That’s what Stephen Hawking is after in “The Theory of Everything,” a feature film that inhabits both drama and biopic, both romance and realism. Hawking, known as much for his battle with ALS as for his groundbreaking work in physics and cosmology, defied countless expectations in his ongoing search for that equation, becoming an icon—both medical and academic—in the process. According to the cast and crew, however, Hawking’s untold stories are perhaps the ones most worthy of portrayal. 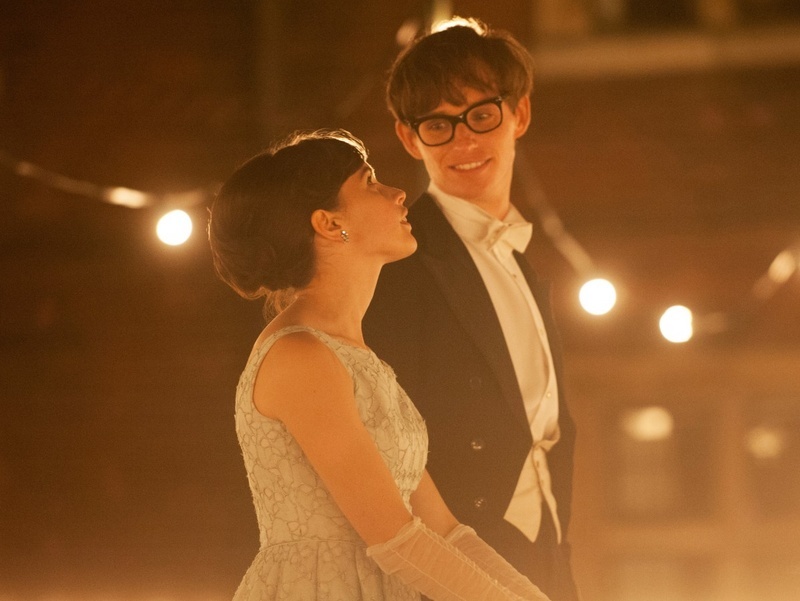 Those aren’t the only big questions “The Theory of Everything” investigates: after all, it was the love story of Jane Wilde and Stephen Hawking that first intrigued McCarten, and it was the unique emotionality of the narrative that allowed the cast opportunities to explore capabilities. For Eddie Redmayne, who plays Hawking, many of the role’s particular demands entailed a new physicality and new methods of expression, especially after his character loses the ability to speak. “You take all of those colors [that] as human beings we normally have—physicality, voice, and all of those things, and…channel that energy into the little that you do have,” he said. The cast worked extensively with the real-life Hawking family to facilitate Redmayne and Jones’s character research, Redmayne even recalling an instance on set when Jane Wilde herself styled his hair. “It was quite surreal, at moments,” Jones quipped. An equation that explains everything? Perhaps not. Still, it’s one that produces a complicated and compelling portrait of a man who, along with his family, created, not accepted, a path that allowed him to keep moving through the fabric of the universe. Although religion grapples with deep questions of the human experience in a way that science can’t, religion needs science as a method of understanding the extent of God’s relationship—if it exists at all—with the universe. ​Harvard’s newly formed Black Hole Initiative received funding two weeks after world-renowned astrophysicist Stephen Hawking spoke about the initiative to a packed Sanders Theatre on April 19. These yearnings for civility, like Hawking’s longing for cosmic travel, may seem like a commendable response to the times. They are not our better angels, though.